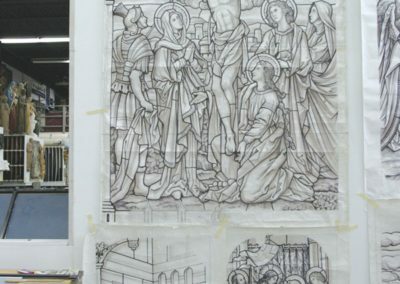 To design and fabricate new traditional-styled stained glass windows, murals for the dome, apse and pendentives and other artistic components in the Romanesque style for the newly constructed Catholic church. 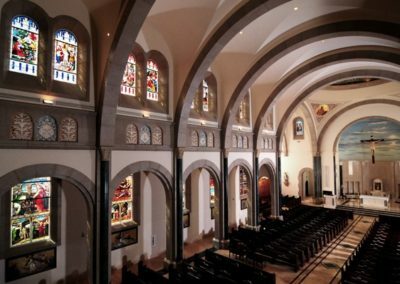 As St. John Neumann Catholic Church in Knoxville, Tennessee began planning for construction, the parish sought out HDB/Cram and Ferguson Architects to design its architecture, and Conrad Schmitt Studios (CSS) to handle its artistic components. 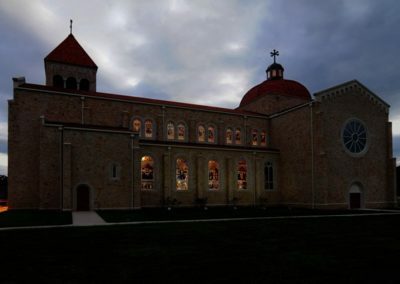 The 900-seat church is inspired by Romanesque churches of the Burgundy region in France, the finest and earliest development of Romanesque architecture. 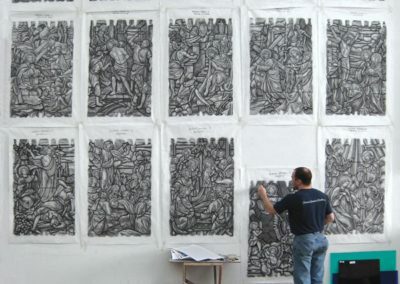 While the structure was being built in Tennessee, artists set to work at its New Berlin, Wisconsin Studio. A master mural artist started by creating the main dome mural. 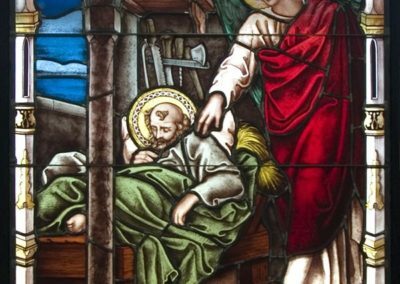 Stained glass craftsmen began designing the glass sketches, cartoons and, later, the traditional-styled stained glass masterpieces. 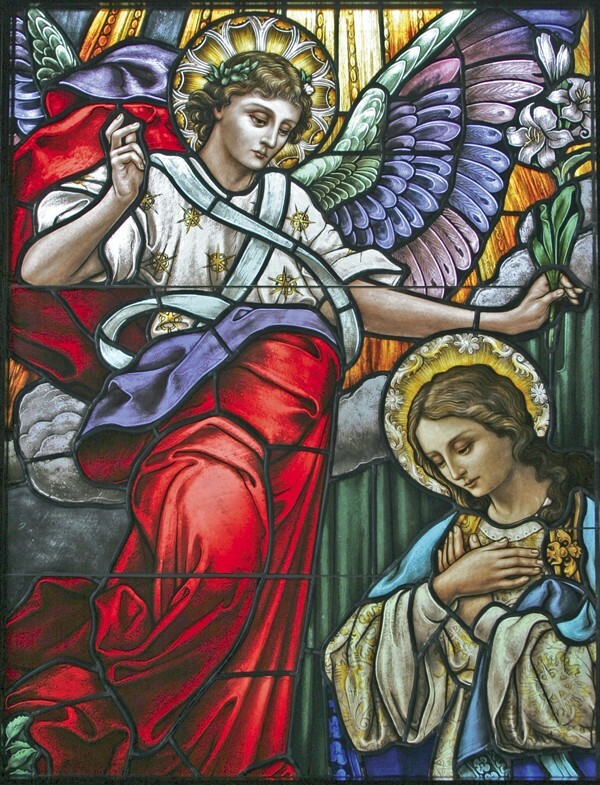 Part of what made this project a success was the relationship and communication between the Studio and Father John Dowling before the plans were implemented. 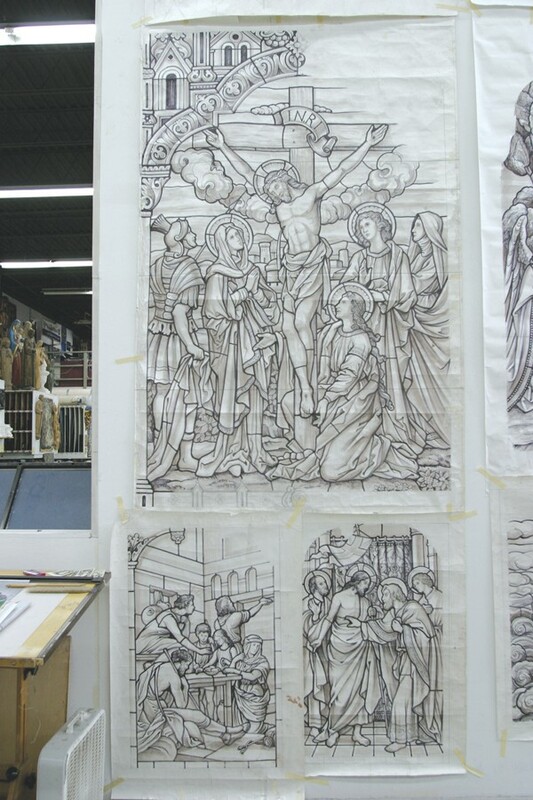 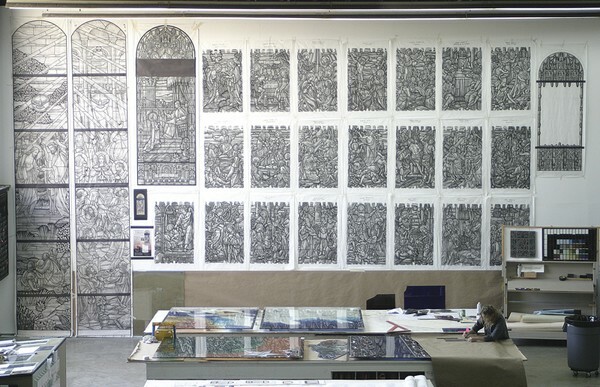 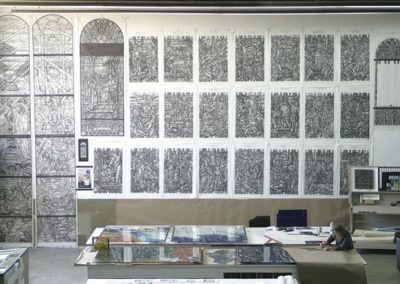 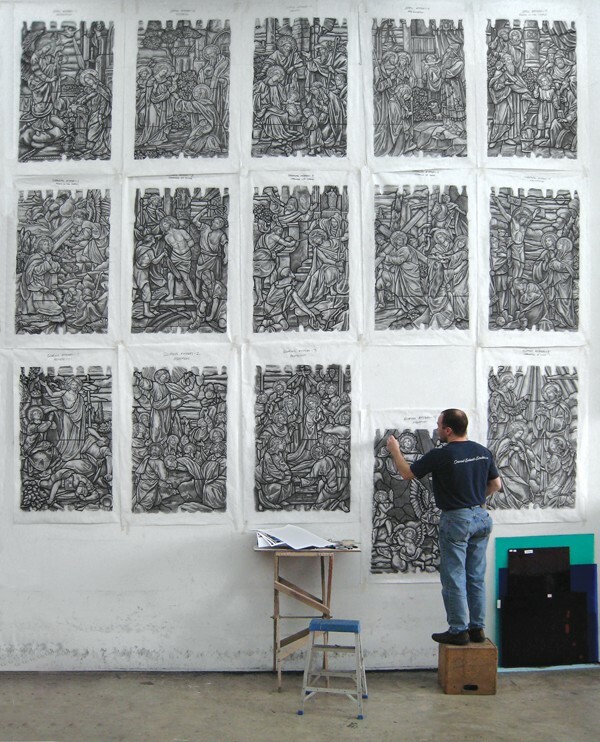 Father Dowling made several trips to the Studio to approve the full-sized cartoons and murals. 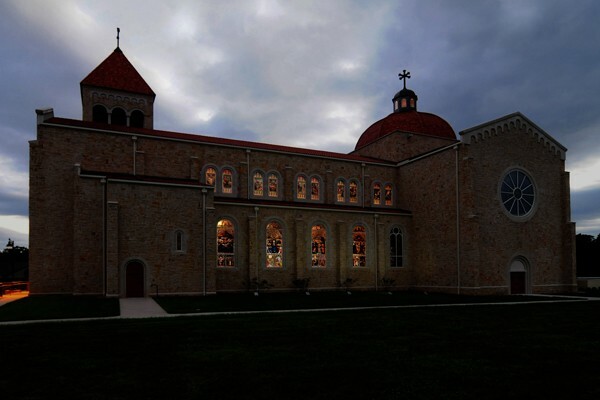 The next step was transporting the artwork to the newly constructed church building and finishing the details on-site. 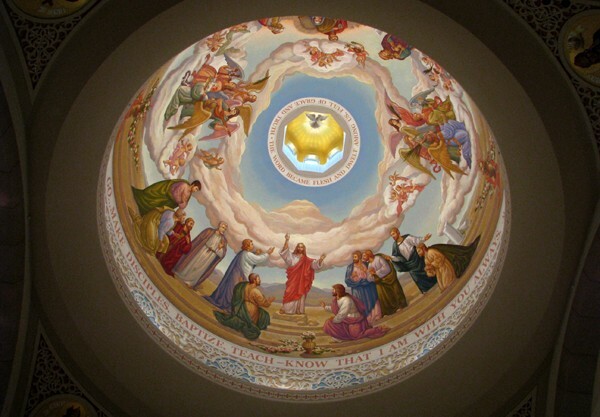 One crew painted its dome, dome rings, pendentives, and apse. 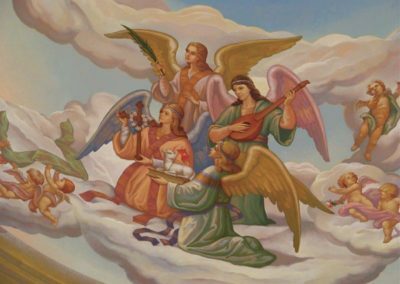 The upper dome, measuring 2,034 square feet, was adorned with scenes of the Epiphany, Jesus with the apostles immediately before his ascension, and groupings of triumphant angels on either side. 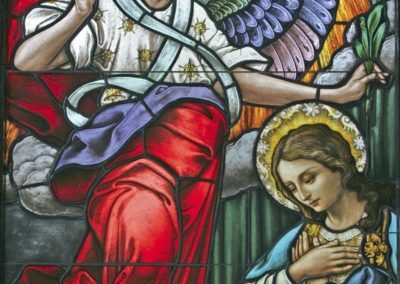 As a statement of gratitude, two of the angels were made to look like the children of a donor who had made a substantial contribution to the St. John Neumann building fund. 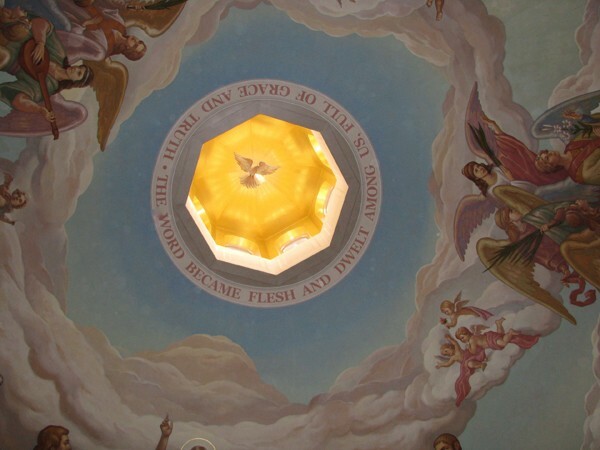 The lower ring of the dome, eight feet high, and 113 feet around, was decoratively painted with words and stencils. 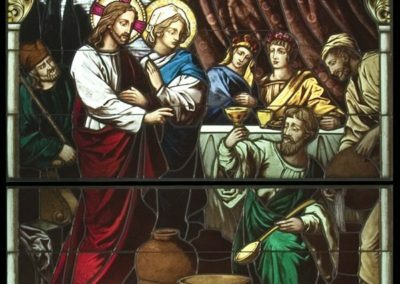 Biblical quotes included, “GO MAKE DISCIPLES, BAPTIZE, TEACH, KNOW THAT I AM WITH YOU ALWAYS,” Matthew 28:19, and “THEY SHALL CALL HIM EMMANUEL, GOD IS WITH US,” Matthew 1:23. 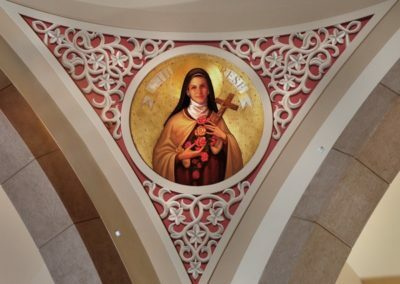 Eighty-five feet above the marble floor, a beautiful hand-painted dove hovers inside the 23 ¾ KT gilded cupola, signifying the mysterious descent and role of the Holy Spirit who helped realize the Incarnation. Below the main dome are pendentives displaying four saints whose lives reveal the four fundamental elements of the Catholic Church. 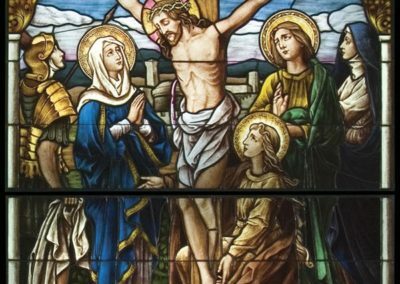 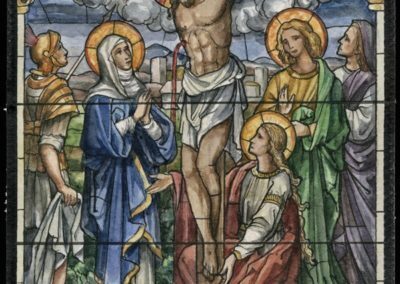 The roles of teaching, governing, sanctifying, and prayer are expressed through St. Augustine, Elizabeth Ann Seton, Pope Gregory I, and St. Therese of Lisieux. The apse hood was painted with the image of clouds and inspirational sky. 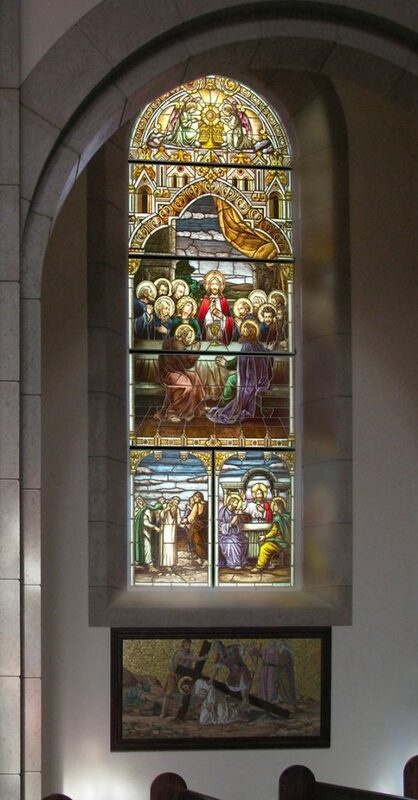 Another crew transported the forty-eight stained glass to the church for installation. 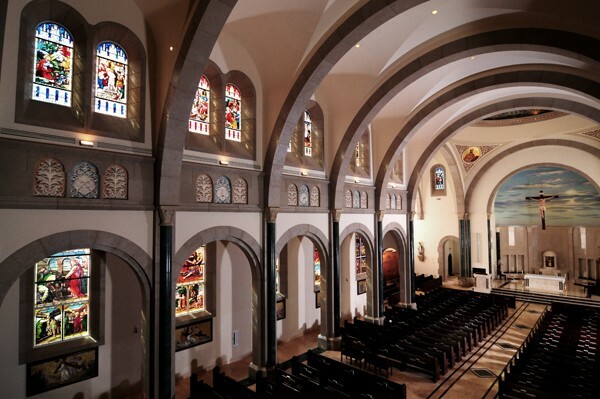 The windows are located on the proscenium wall, clerestory, ambulatory and nave. 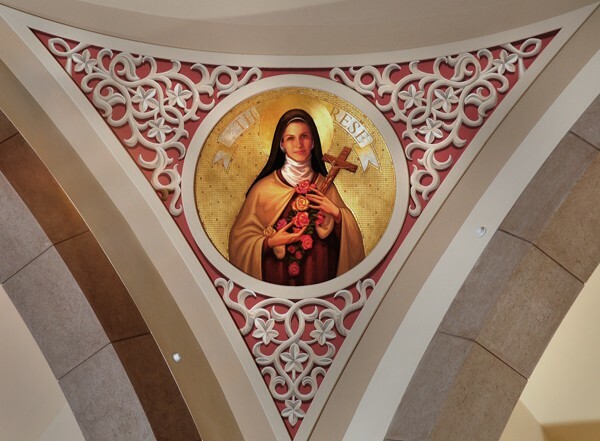 This parish’s specific plans and hands-on involvement in this project resulted in art that was beautifully crafted and, when completed, met and exceeded the wishes and expectations of the parish community in Tennessee. 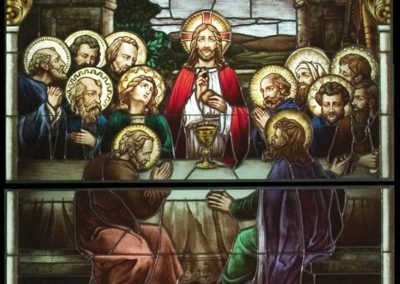 It was a glorious day when the doors opened, and the members were rewarded for all of their efforts throughout every stage of the building and decorating process.